It’s hard to miss Lowell House’s most recent set of renovations. Beneath the blanket of green tarps, we can see Harvard’s customary neo-Georgian aesthetic, Flemish bond brick, and paned-glass windows. If Lowell is any indicator, Adams House, Harvard’s next target in its River House renewals, will bow architecturally and unapologetically to the past. Lowell House and Adams House represent a 1930s era effort to capture the stylized Georgian architecture of Harvard Yard erected at the school’s founding circa 1720. “What’s wrong with that?” the Cambridge Historical Commission might haughtily query. Quite a bit, actually. One would hope that the cloud of nostalgia surrounding Harvard “as it was” has by now been blown away by a cold gust of historical reality that has exposed the exclusion, inequality and opacity of the past. As Harvard modernizes its values and aspires toward inclusion, equality and transparency, should the University’s architectural composition not mirror this change? As Harvard completes the Lowell project and works through its designs for the Adams renovation, the University should seriously consider moving past its neo-Georgian fixation and updating its architectural approach. It is crucial that we build physical structures that reflect and and even amplify a more progressive outlook. Our buildings should reflect our contemporary values, inspiring occupants to feel included, welcome and connected to one another. We should dare to create distinctly 21st century spaces rather than letting the campus be defined solely by its history. In expanding its undergraduate housing Yale serves as an excellent example of what not to do. At Yale’s new Pauli Murray and Benjamin Franklin Colleges, the school chose to duplicate, almost to a tee, the Gothic architectural stylings of its past. This choice, whether by intention or not, signals backward-looking priorities and values. Clinging to an architectural style of a bygone era that perpetuates an aura of elitism and exclusion, the private courtyards and hulking towers create a fortress-like divide between the campus and the city of New Haven, a separation emphasizing the stark divide between a predominantly lower-income community of color and the elite world of Yale. While Yale is mired in the architectural design strategies of the past, the University of Pennsylvania’s New College House, completed in 2016, provides an excellent example of an elite university designing for a modern era. The sloping public field at its center, green roof, and extensive public walkways, reinforce, rather than undermine, values of inclusion and transparency. Inspiration can also be found closer to home in the notably avant-garde structures at MIT. In the creative patchwork of windows and sponge-like structure that comprise MIT’s Simmons Hall combined with the unmistakable form of Frank O. Gehry’s famous Stata Center, MIT’s architectural aesthetic pushes the viewer to break with normal preconceptions of elite New England academic institutions to recognize the cutting-edge nature of the University. But Harvard doesn’t need to look to other schools for inspiration—our own campus is home to groundbreaking modern buildings that signaled the arrival of globalism in the postwar era. 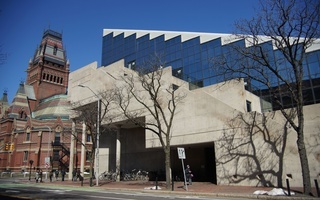 Harvard’s architectural victories include the Carpenter Center, the Design Research Building in Harvard Square, and Hilles Library, exciting modern counterpoints to older and more historic structures. Sadly, there have also been several notable missteps. The Harvard Science Center and the Smith Holyoke Campus Center, both designed by architect and former Dean of the Graduate School of Design Josep Lluis Sert, feel drab and over-scaled rather than forward-facing and innovative. It’s more difficult, of course, to express modern values in the context of renovating a historic complex like Adams House. But it isn’t impossible. 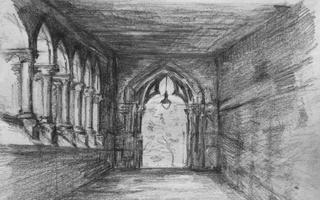 To promote inclusion, Harvard could cut away the house’s imposing entryway to create a new set of transparent gathering spaces that are open to the Cambridge community—reversing Harvard’s usual inward focus. Germany’s parliament building, the 1894 Reichstag, shows how such a reversal is possible. In renovating the building, architect Norman R. Foster created a viewing platform for the public in the place of the former dome, directly above the parliament chambers: The government operates only under the watchful eye of democracy. Perhaps, if the right architect were hired and the school were willing to take a risk, something similar could happen at Adams House—providing the future undergraduates who will live there with a more expansive view of the world. Many will balk at the idea of reimagining undergraduate living quarters that are nostalgically associated with a certain idea of Harvard’s identity. But as the Reichstag shows, a contemporary approach doesn’t need to mean erasing history. It can instead mean the introduction of new, contrasting elements that prompt the building’s residents to see its history in a new light. Interiors can be updated, and portions of the building’s masonry structure—currently hidden by decoration—could be exposed. Small additions could be built in leftover spaces like the courtyard, with new outdoor spaces created through a green roof above. Architects can work out the design specifics. But as they do so, they shouldn’t forget that our buildings need to evolve along with our identity. In the end, our architecture reflects who we are: our aspirations, our values, and our forward-facing vision. Jennifer L. Horowitz ’19 is a Near Eastern Languages and Civilizations concentrator living in Kirkland House.